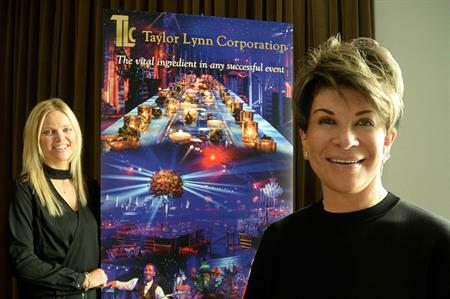 Event management company, the Taylor Lynn Corporation (TLC), has developed a consultancy service advising venues on their conference and special event markets. This new service runs in parallel with its events business and is part of the agancy's strategic development plan for 2017 and 2018. To assist with driving its strategy forward, the agency has appointed Ellie Barnes to the post of operations director. Company founder and managing director, Liz Taylor, will take responsibility for strategic development and spearheading sales and marketing at TLC, and remains involved in the company’s events work by overseeing the major events schedule. Commenting on her appointment, Barnes said: "No two days are ever the same at TLC. We work at a lightening pace and our clients demand the highest quality and a great attention to detail. And, I thrive on it. The new role will give me greater responsibility within the business including management of our amazing team, and the creative scope to push our conference and event production values and expectations even further." Taylor added: "I was approached a few months ago by a venue and asked if I would offer advice on how to develop their product and service to attract a high-quality wedding clientele. I was genuinely excited by the idea of taking all our knowledge as event and wedding producers, and using it to help the client to make their service more relevant. I know what works and what doesn’t when it comes to venues! "After one client, more followed and it really became an organic growth - and a brilliant opportunity emerged. Next came a new-build venue looking to plan their meeting spaces, a hotel wanting to grow sales in the conference market and other clients who are getting their business ready for Brexit – by wanting to explore the potential of the MICE sector for additional revenue streams. "It’s an exciting time for TLC. With Ellie taking a greater management role in the business, I am in a strong position to develop our additional services such as designing festive decor for commercial spaces and venues, and the venue consultancy. I am also working on a number of media and entertainment projects that will come to fruition later this year. It’s non-stop!"